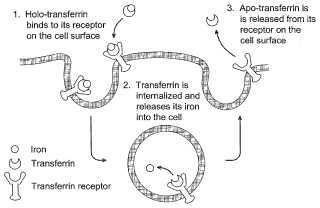 The invention provides modified Transferrin (Tf) molecules and conjugates of the Tf molecules with a therapeutic agent. The invention also provides methods of treating cancer wherein the therapeutic agents are chemotherapeutic agents. The modified Tf molecules improve the delivery of the conjugated agent to a target tissue. In some embodiments, the modified Tf molecule has a mutation which decreases the release of bound iron from a Tf complex. The complex can also contain, for instance, a carbonate, oxalate, or other anion to stabilize the Tf iron complex.